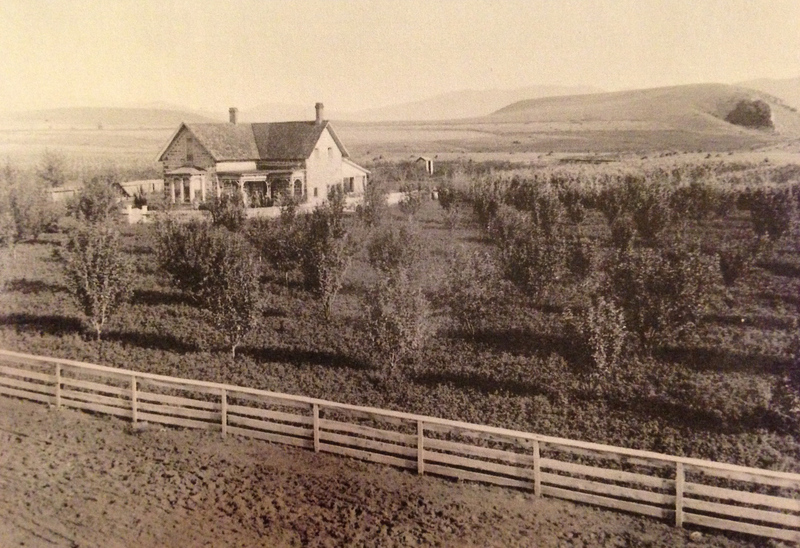 Jacob and Elizabeth Flowers were early pioneers to Pleasant Valley and were the founders of Bellvue, Colorado. 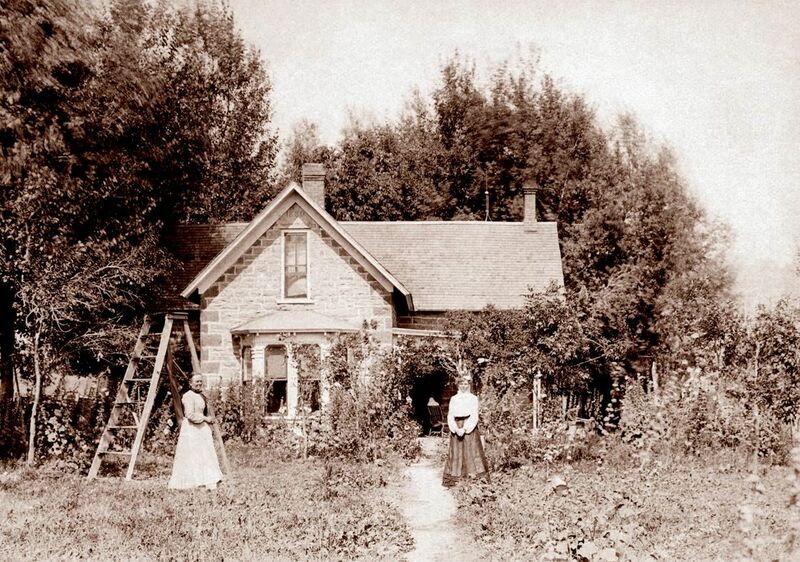 They moved to the state in 1873 and lived first on land north of Fort Collins and then moved to the valley. They eventually settled in what we think of now as the town of Bellvue, where they built a stone house, store, and mill. The house and store are still standing and are important landmarks for anyone traveling up Rist Canyon. 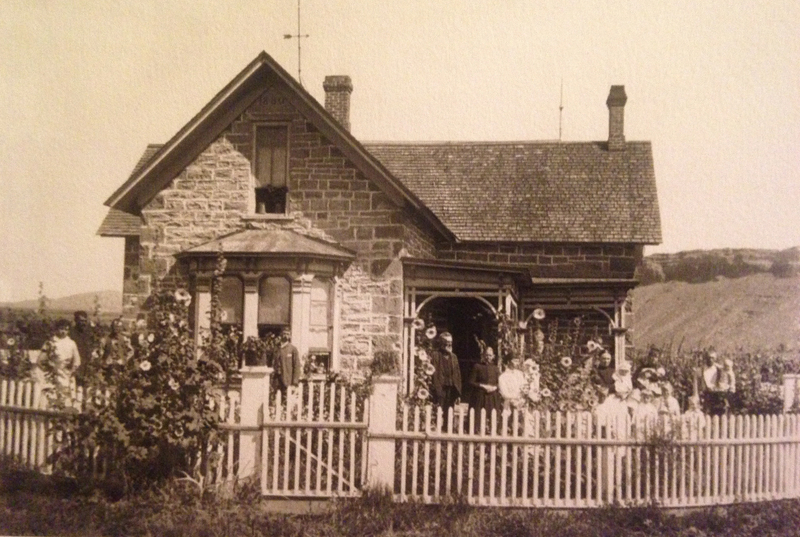 You can read more about Jacob Flowers and his family in the post entitled, “The Flowers of Bellvue.” And you can find out more about the store in “The Bellvue Grange Is All Lit Up.” But in this post, I want to focus on the little stone house that Jacob built. Jacob built the family house with stone from the nearby quarries. 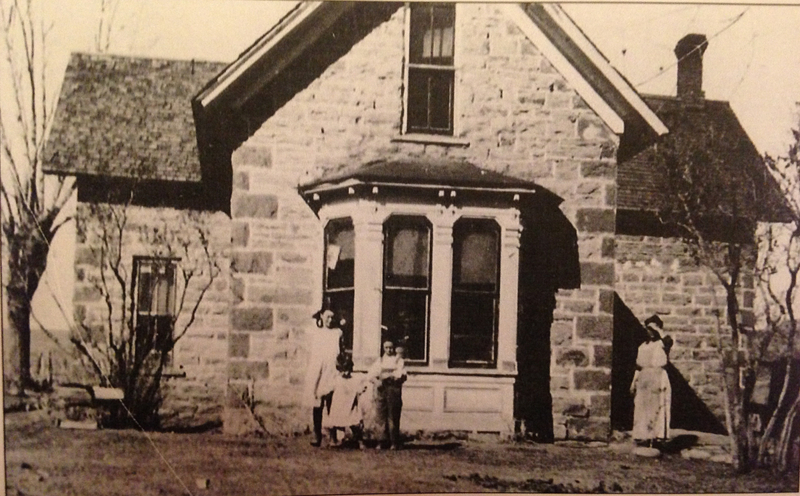 The same distinctive stone can be seen on the Bellvue Grange and was also used to build the Mill which was torn down in 1963 to make way for a state fish hatchery at Watson Lake. Jacob Flowers died on November 15, 1900 at the age of 73. He had lived in the house for two decades. After his passing, there were a series of owners until, in 1927, it was purchased by Fred and Mittie Tetly, who were well aware of the house’s provenance. The lived in the house and kept it in good repair. 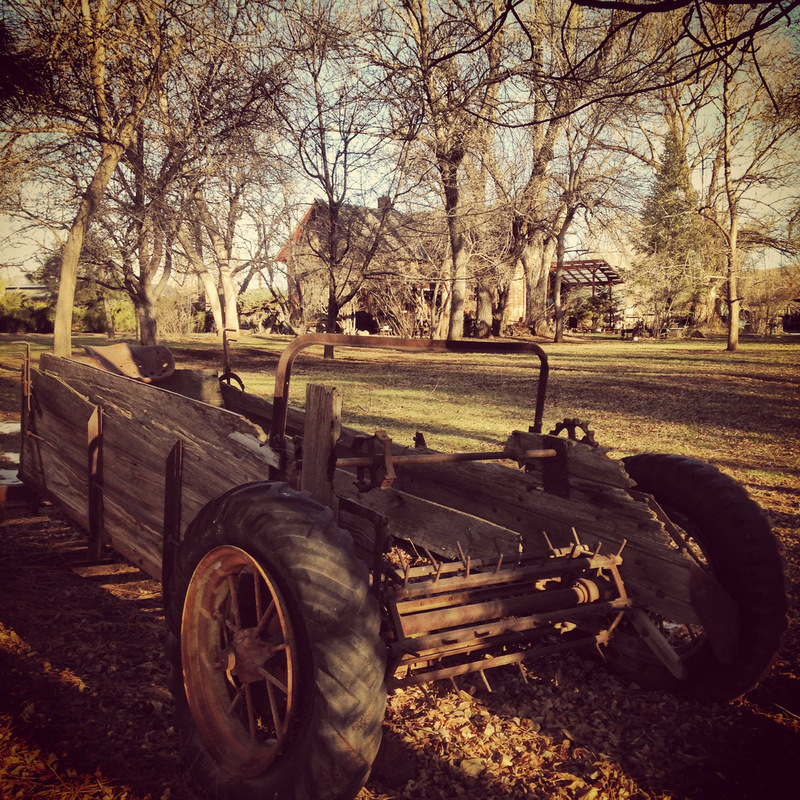 They also farmed the land, adding a barn and chicken coop to the property. Their granddaughter, Judy Jackson, owns and lives in the house today. Judy Jackson has done a tremendous amount of research regarding the history of the house and in 2006 she engaged a local historian, Ron Sladek, to further research the property and complete a nomination form to put the house on the National Register of Historic Places. On March 1, 2007, the house was added to the Register by the United States Department of the Interior. 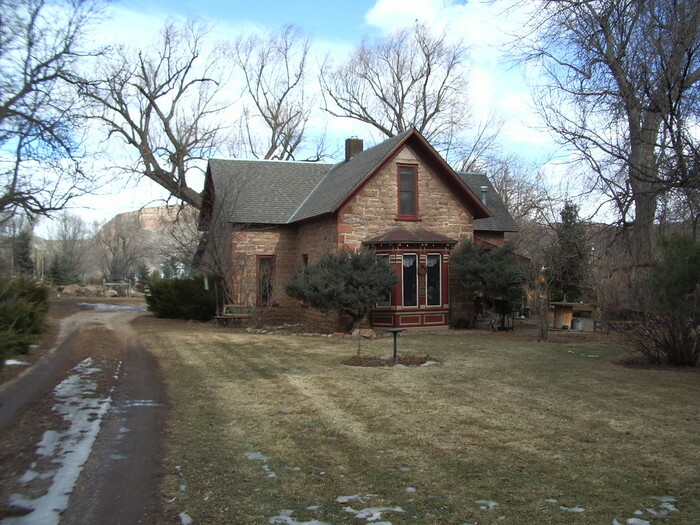 Though the house is set back a distance from the street, you can see it from Rist Canyon Road, or turn down the dirt road called 2nd Street for a closer view. Or, if you’re not able to buzz over to Bellvue, you can take a jaunt over to Google Maps Streetview for a gander. (If you just enter “Bellvue, Colorado,” Google will put a pin pretty much right where you want to be.) You can also check out www.historicflowershouse.com in order to find out more about holding a special event on the grounds of the property. Judy Jackson handed me a thick three ring binder with all of her photos and information about the Flowers house. Some day I hope the official name of the house on the historic register is changed to the Flowers-Tetly-Jackson house. Judy’s family has lived in the house far longer than the Flowers ever did, and they have been an integral part of Bellvue and Pleasant Valley. Thank you, Judy! Judy Jackson – what a great friend to have – and full of energy too! That’s for sure! It’s hard to keep up with her.